"But if we confess our sins, God is faithful and just, and will forgive us." This is a really personal piece of writing (which is quite something, coming from me!). I don't really want to say it's a poem, but it's not really prose either and I'm not really sure it's very good... BUT, what I can say is that the Jesus it attempts to testify to is so good, and so faithful, and has wrought for us forgiveness of sins! Hallelujah! I am beginning to understand why Wesley wanted ten thousand tongues; one heart, one mind, and one lap-top is not enough to come close to expressing our great Redeemer's praise! But with the heart and mind I have, here's this, inspired by the glory of Good Friday. Because of the cross, our guarantee of forgiveness is no longer mercy- but justice. Because God was faithful, God will be just- and forgive us our sins. Each its own plea for another way. It storms with Heaven's fury. But You take it, and start to sip; you will stagger beneath its wine. Because You are faithful; you leave the Garden, for Golgotha. You alone have lived with the love that makes You welcome there. But because You are faithful, to me, You take the road to exile, to execution. You take that road so I can walk by another Way. You strain for a joy set before: the joy of mercy?- More. my darkest nights are free from the shadow cast by that cup. its dregs have been consumed, because You were faithful. and the wisdom of the ages is on the tip of your tongue. that gathers, rages against you. Every false witness condemns you as deserving of death. But because You are faithful, to me, you remain silent before your shearers. and yet, here, when You could defend yourself, you stay silent. on that stand I do not hear the verdict I deserve. I cannot stay my judgement. but You were silent, You were faithful. The Innocent heard "guilty", so that I might hear "RIGHTEOUS!". You paid every last debt I had. You are lifted high, in shame, and the chorus of Your agony is laughter. Coarse peals that delight at the sight of a dying King. 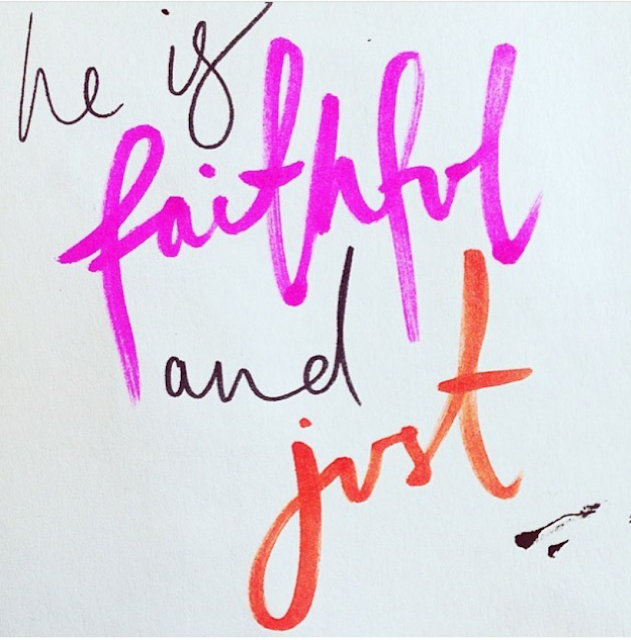 But because You are faithful, you do not. Your faithfulness lets God deliver me, instead. A criminal is promised heaven. The Innocent is abandoned to hell. You are forsaken, but you are faithful. . Blessed Jesus, King of Heaven. You have been faithful to me. You drank a cup of mighty judgement and poured out a cup of mightier grace. You are faithful, and did not turn away from judgement. You are just, I will never be turned away from mercy. You are faithful, and you were forsaken. You are just, and I am welcomed home. By Your resurrection power, we shall rise..."